This 4x title holder for the BEST CALIFORNIA STATE WINERY OF THE YEAR is THE PLACE to stop during your visit. The warm and friendly tasting room serves up award-winning wines, while the estate vineyards of this 39-acre resort house an award winning restaurant, luxurious spa and private villas, providing you with the ultimate wine country experience. 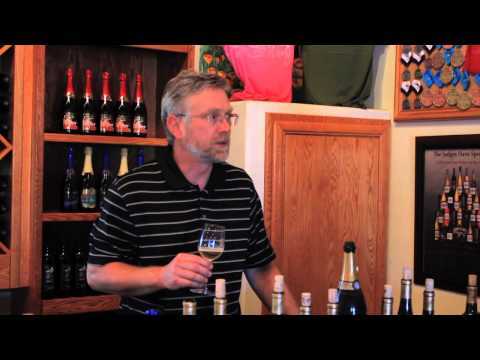 What’s South Coast Winery’s secret? Its winemaking philosophy is simple: In order for outstanding grapes to become unforgettable wine, it necessitates an essential dedication of marrying the best of Mother Nature with the best of man. 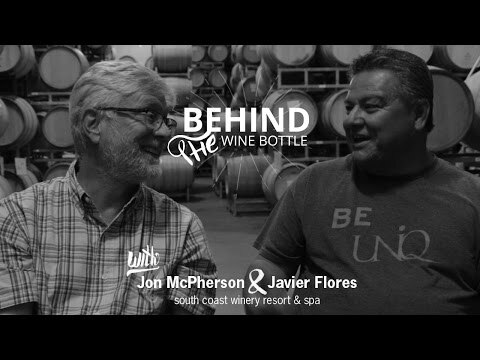 As South Coast Winery’s winegrower and proprietor, Jim Carter’s approach to growing the best grapes in Southern California honors this union, alongside his hiring award-winning winemaking team Jon McPherson & Javier Flores. Therein lies the success that has earned South Coast Winery the "best of the best" distinction when it broke the record for being the first winery ever, in the oldest, most prestigious wine competition, to take home the title of the California State Golden Bear Winery of the Year Award four times: 2008/09, 2009/10, 2013/14 and 2016/17. "There is a place on earth where each of the grapes is grown to produce today's wine. Our place on earth –the valley of Wild Horse Peak -- is the best.” states Carter. His vineyards, located on the eastern side of Mount Palomar, are set in the native terrain of Southern California which offers invigoratingly beautiful scenery. The nearby Temecula Valley offers daytime heat and nighttime cold, an ideal agricultural setting for winegrowing but after tasting his first harvest, Carter realized his mountain vineyard had something extra—more sunshine. It is this extra gift from Mother Nature that produces South Coast’s exceptional grapes. Not planted in the more common California sprawl, Carter’s vineyards are planted in 3'6" heights, allowing the extra sunshine to meet and make great each cluster of grapes. Rooted in this celebration of sun and soil, Carter built an exceptional winery within a picturesque vineyard setting in the heart of Temecula’s beautiful wine country. Offering elegant comforts of a five-star resort, alongside the selection of fine wine from the South Coast Appellation of Southern California along with estate vineyard wines, South Coast's wine will be made the way 'people want to drink it' – splendid, enticing and impressive. Master Winemaker Jon McPherson has been making Carter’s wine since the winery's inception in 2003 and he, alongside Winemaker Javier Flores, believes the combination of winegrower and winemaker will bring without doubt many award-winning wines. Earning over 2,500 awards and medals, in just 13 years of operation, backs up his claim. Devoted to the good life of wine country, South Coast Winery Resort & Spa offers enticing dining, luxurious villas and an all suite hotel tower, inviting tasting room, spa and gifts divine, complemented by picturesque settings, welcoming décor and, of course, exceptional wine. Amenities: Home of the casually elegant Vineyard Rose restaurant, beautiful tasting room and breathtaking gardens, popular wine club,upscale gift shop, 76 luxurious villas, 50 unit new all-suite hotel tower, plus full service day spa & salon, meeting space, music and concerts, special events, guest speakers, classes & so much more. Judged Best Winery in the State of California, South Coast Winery Resort & Spa is a must-see destination on your next visit, and the perfect location for your wedding, meeting or offsite retreat. Food Services: A casual, yet elegant, dining experience awaits you in the Vineyard Rose restaurant which serves up breakfast, lunch or dinner. Catering & exceptional meeting and banquet facilities also available.